Compiled by Jerry Kelley, RPR, CRR, an official court reporter in McKinney, Texas. I prefer using realtime court reporting (with encryption to ensure privacy), with the spoken word appearing in realtime, in English, on my laptop computer screen for immediate use. The judge, counsel, co-counsel, house counsel, client, law clerks, legal assistants, experts, and those in the “war” room can have an instant, up-to-the-minute realtime feed during deposition or court proceedings for immediate use. By using realtime, we can know that the proceedings are being recorded. With audio, sometimes we have gone all day before finding out that no record had been made. Realtime court reporters can simultaneously digitally record the proceedings. Digital recording devices cannot simultaneously provide realtime feed. I can actually see realtime court reporters stop writing when they overhear privileged communication between attorneys and clients. Recording devices just keep recording everything. Any errors in the realtime feed can be detected as they happen. A live court reporter can and should make sure that speakers speak one at a time and/or repeat anything that would otherwise not show up in the record. A recording device cannot perform that task, and even the best transcripts from recording devices contain [inaudible] and [indiscernible]. If the realtime court reporter is using CaseviewNet with Rapid Refresh, or similar software, any changes he/she makes in realtime are instantly updated on my laptop screen. Rather than stopping the proceedings for the court reporter to read back, the court or counsel can simply click on the dynamic index associated with the realtime feed to instantly search for objections, rulings, exhibits, words, phrases, numbers, et cetera. Following objections, recesses, questions by counsel opposite, or rulings by the court, I sometimes lose my train of thought. However, with realtime, instead of stopping the proceedings and waiting for the court reporter to read back, I can click Q on my laptop, immediately returning to the last question asked, to regain my train of thought. Clicking on A takes me to the last answer. Following an objection/ruling or being asked to repeat my question, by clicking on Q in the software, I have the exact words of my question in front of me. It is especially satisfying to be able to carefully reframe the exact same question and get the answer I need. Following “Objection to form,” I can have court and counsel read the realtime feed, then ask, “What’s wrong with the form of that question?” If I am forced to rephrase, I can use the question appearing on the laptop to make a subtle change to remedy the objectionable portion of the question. Instead of asking the court reporter or recording clerk to mark a certain portion of the testimony, perhaps divulging strategy to counsel opposite, I can click “mark” on the software to mark the pertinent text myself, without anyone else knowing. When questions, solutions, or strategy occur to me, I can note them in a box next to the actual testimony, for my benefit only, without missing ongoing testimony. By using pre-assigned codes, I can index and organize the testimony as it proceeds. I can quickly and effortlessly search only for the portions indexed. Before passing the witness, I can double-check and confirm that a series of questions and answers portrays what I intended to establish with a particular witness, thus ensuring that everything on my checklist has been covered. By using the copy-and-paste function in Word or my litigation support software, my summary and/or indexing can be done in time to be used with the next witness, the next court session, or the next deposition. While testimony is proceeding, I can click a predesignated issue code to flag particular issues (i.e., liability, medical, out-of-pocket, motions, drug amounts, jury instructions, et cetera) to organize the testimony. This also gives me the ability to create a “report” almost instantly for each issue, including a few lines before and after my issue code flag. When I receive my certified transcript from the realtime court reporter, I can synchronize my marks, notes, and issue coding made during the proceedings with the certified transcript for use with my litigation software. In court, by requesting realtime together with daily copy reporting, as the trial proceeds, each volume of the edited, proofread, corrected, and certified transcript, including preloaded or embedded exhibits, is ready by the end of the day. We just completed a multi-week trial. A judgment was entered against our client for $1 million, and post-judgment interest is running at $50,000 per year. By having overnight access to the certified transcript, as opposed to having to wait for digitally recorded proceedings to be typed from the very first word spoken, we are saving our client $4,166 per month in post-judgment interest. We were able to use the transcript each day during the trial, we have had more time to prepare for appeal, and we are using the exact same transcript the court of appeals will be using, so we can quote page and line numbers in our motion for new trial and/or appeal brief. 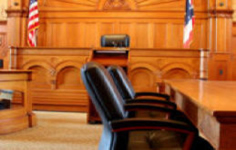 Using realtime court reporting can save time and frustration. Most disputed points either become insignificant or can be reconciled once seen in written form. Witnesses, parties, judges, and/or attorneys who are deaf, hearing-impaired, or diagnosed with attention deficit disorder can watch all words spoken exactly as stated rather than having to be skilled in or relying on sound-alike words, lip-reading, or paraphrasing by a sign-language interpreter. Court interpreters appreciate having access to realtime feed, especially on long and/or complicated questions. Using wireless encrypted access to the Internet, I can stream the written proceedings, in realtime, to co-counsel or house counsel down the hall, down the street, across the country, or around the world as it is being spoken. At appropriate times, such as during recesses, we can supply realtime reporters with the correct spellings of names marked in the realtime feed during the proceedings, which helps them provide us with a better record of the proceedings. When a readback is requested by the jury, court and counsel can use the realtime feed to find and agree on exactly which portion of the transcript should be read to the jury. Some judges read back testimony to the jury from the computer. The courtroom deputy clerk can be connected to the court reporter’s realtime feed, allowing him/her to copy and paste more accurate relevant information to the minutes. The judge’s law clerk and/or judicial assistant can use the realtime feed to assist the judge in responding to motions made during the trial and in compiling jury instructions. Immediate access to the trial transcript provides a cost savings to the court, counsel, and litigants. The litigator saves time reviewing the day’s proceedings in preparation for the next day’s proceedings. This equates to a cost savings to the client and a time savings to the court. Counsel, the judge, or the court clerk can use the realtime feed to be sure exhibits have been admitted before sending them to the jury room.